8-megapixel CMOS sensor recording in 4K Ultra High Definition (3840x 2160) at 3oFPS. The ultra-wide 162-degree angle takes full advantage of the 4K UHD resolution. With H.265 (High Efficiency Video Coding), videos look better and files are smaller, While the dual-band Wi-Fi ensures blazing fast transfer to your phone. With the free Over the Cloud add-on service, check on your car from anywhere, anytime. 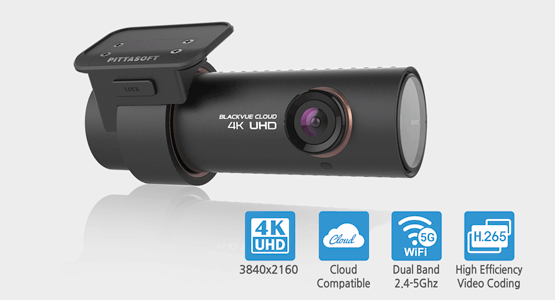 As with all our ‘Blackvue’ camera range we are able to supply your camera with whatever micro SD card you require to do the job, be it a 32GB, 64GB or a 128GB card. We have them all in stock.